Our mount perfectly positions your SONOS Soundbar on a shelf above the TV to dramatically improve sound quality! If you have a SONOS Soundbar sitting on a shelf above your TV, you know the sound quality is pretty poor simply due to the placement. Well, we’ve got the perfect solution! Our High Mount SONOS Soundbar allows you to mount your SONOS in a vertical position that actually angles the soundbar downwards about 10 degrees – perfect for dramatically improving the sound quality! 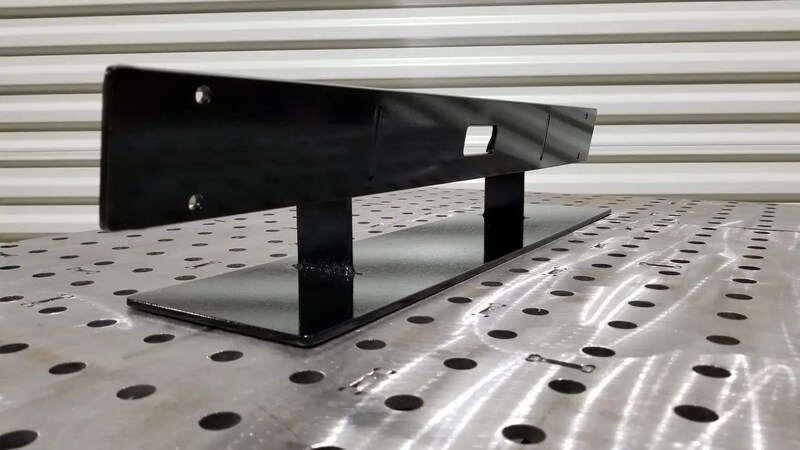 Our mount is made from heavy 3/16 inch thick steel plate (to ensure the Soundbar won’t tip over), and painted black to blend in. The Wall Mount for Sonos Playbar Sound Bar is NOT INCLUDED. 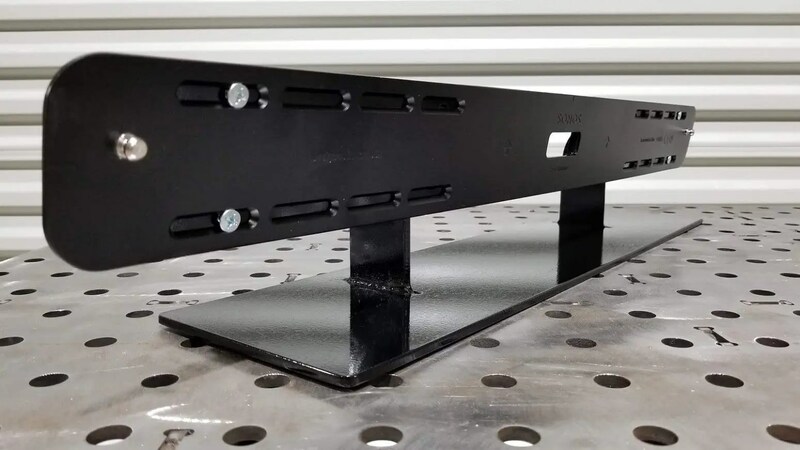 Our mount includes the nuts and bolts you’ll need to attach the SONOS Wall Mount, and then it’s simply a matter of hanging the Soundbar and plugging it in! You won’t believe how much better it sounds, so don’t delay! 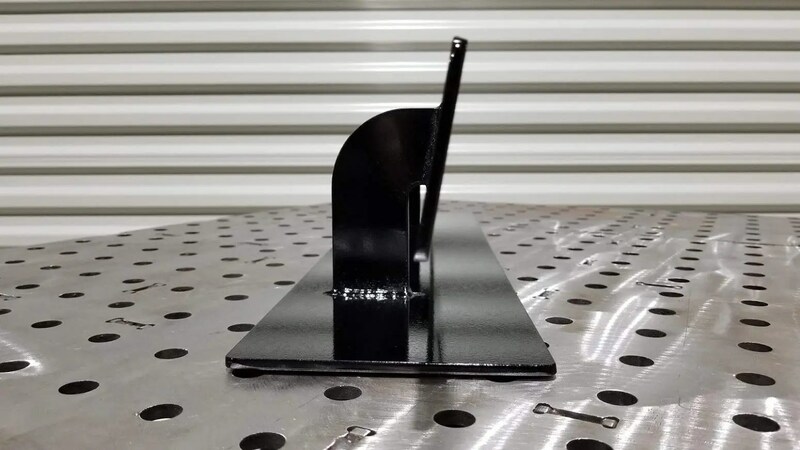 As with all of our products, our SONOS Soundbar Shelf Mount includes our forever guarantee!